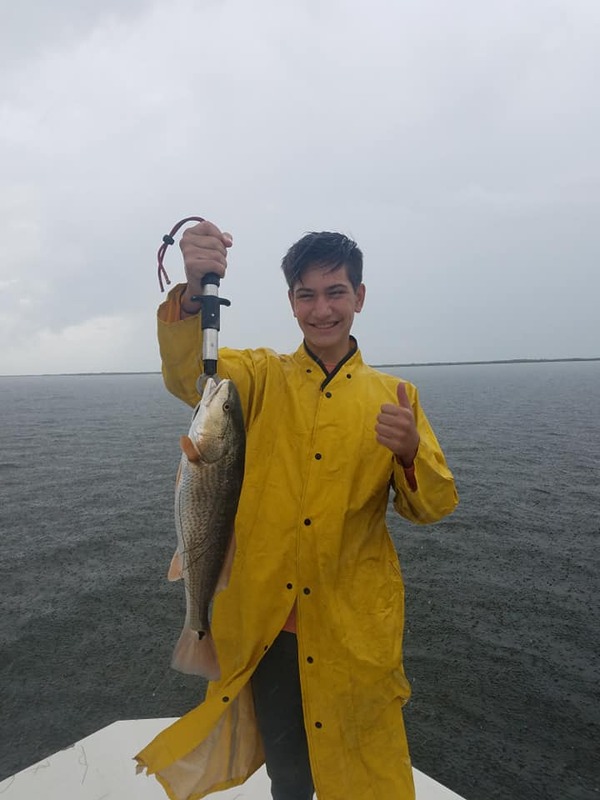 David and I spoke about what kind of fishing do I like to do, I told him I really like wade fishing but I really didn’t care about how we fished as long as we put fish in the box. He said probably the most productive was going to fishing for reds with cut bait and live finger mullet. I told him let’s start there and see what happens.. We meet at the dock at 7 and take a short ride and find some mullet rafts. He rigs up about 5 bait casters with weights and bait and slings them out in all directions. It wasn’t long before the reel sang it’s song and the first fish was on ! I told David to get on that rod! The guide told him to let it run for a few seconds and then really set the hook. 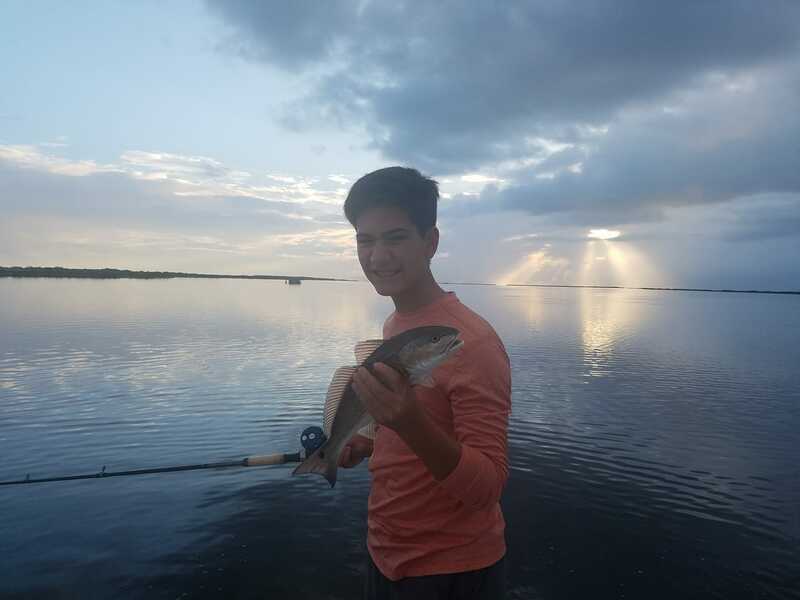 In a few minutes the first fish was landed and my son was grinning from ear to ear. That is what it is all about. I grew up on the coast and had many, many glorious days of “getting in the fish”.. you know, multiple hookups happening at the same time and just hammering the fish. Well, he’s been a number of times the last few years and unfortunately I haven’t been able to provide that same experience for him. But this weekend we fixed it! 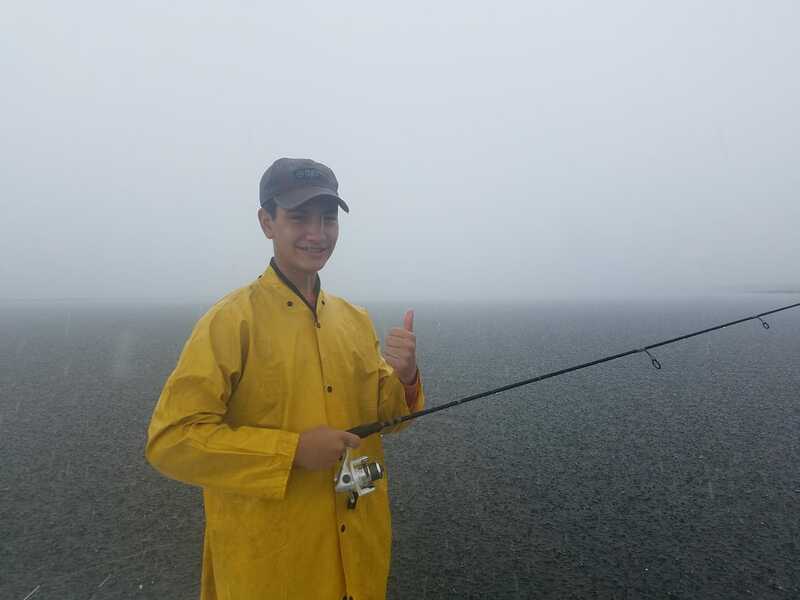 There was rain in the forecast and it was coming in.. David asked us if we wanted to move on out and we were both like “No sir, not if we are catching fish” It’s just water and frankly, after a long hot summer it felt damned good! We kept catching until the lightening got too close and we bailed out of there and moved to a different spot! The guide was very nice, laid back and took care of everything. 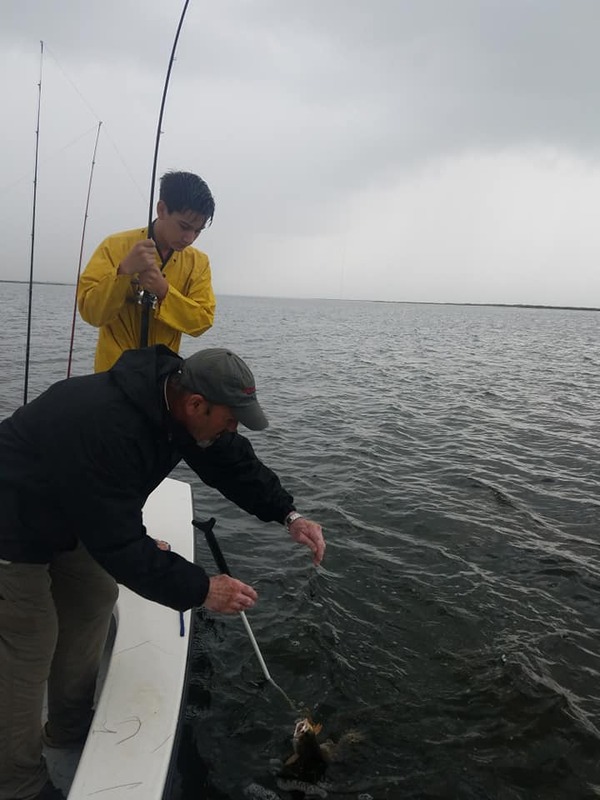 He coached my son, was very encouraging and it was high fives every time a fish was landed. 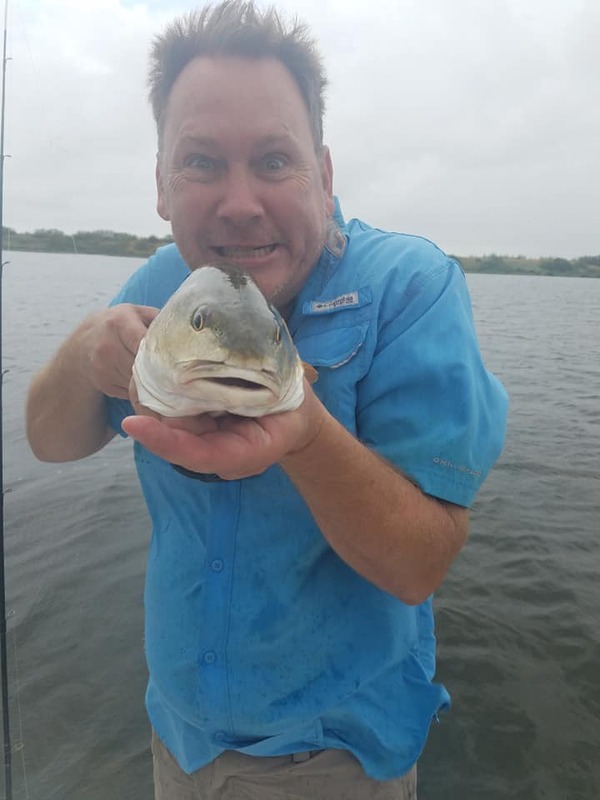 You could tell he really enjoyed just being out on the water and was thrilled when we hooked up.. Just a good dude. 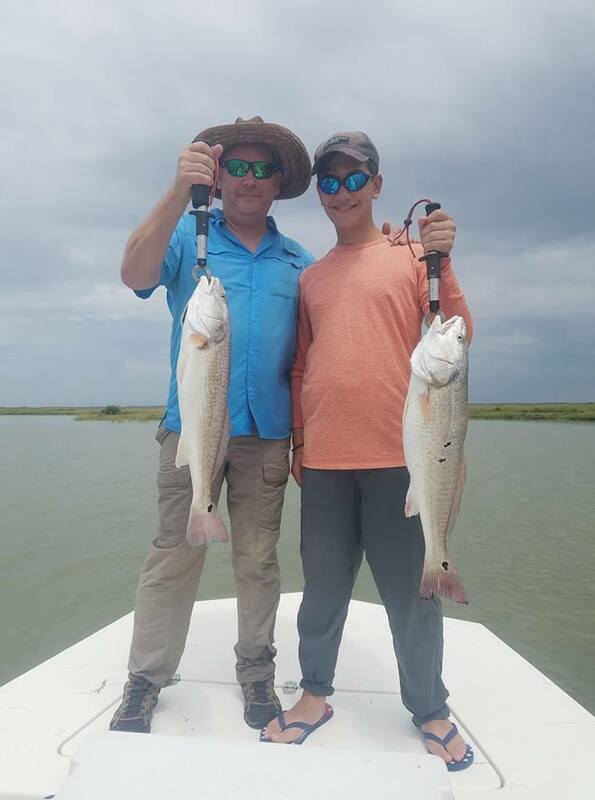 We got our limit of reds and 4 trout including a nice 22″ on live finger mullet. 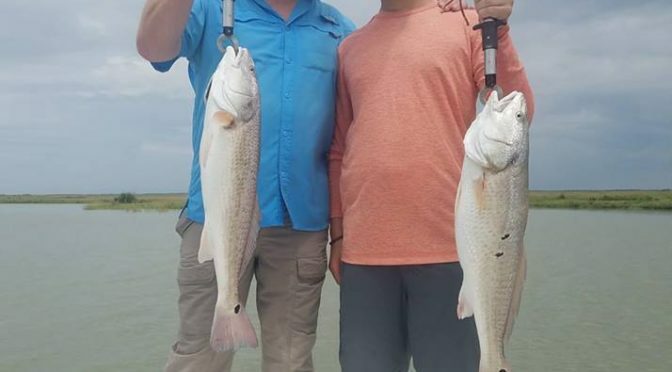 Our best two reds we just under 28″ and around 8lbs with David’s being the heaviest fish of the day at 8.25!